Over the next three years, 30 nuclear reactors across Europe will reach their retirement age. Making the decision-making process over their future open and transparent is crucial. The 2014 decision on extending the lifetime of Rivne Nuclear Power Plant in western Ukraine gave European governments a pretext for avoiding public scrutiny. CC BY 3.0 Yanat / Panoramio. Some rights reserved.One month ago, the Ukrainian government took an unexpected step. It invited neighbouring governments to participate in consultations regarding lifetime extension of nine of its nuclear reactors. For more than four years Bankwatch and other civil society groups have been calling on Ukraine to recognise its obligations under the Espoo Convention (which provides a framework for environmental impact assessment in a transboundary context) and carry out public consultations. But at a time when public trust in government institutions across Europe is at a record low and given the major inconsistencies in the practice of transboundary consultations on nuclear issues, this is only the start of a test for public participation and transparency in Europe’s nuclear sector. The upcoming Meeting of Parties (MOP) to the Espoo convention in June will be the battleground for anti-nuclear government to set clearer rules for applying the convention. Ageing nuclear reactors are fast becoming a serious threat across Europe. In addition, rather than devising energy transition strategies and allocating the financial resources needed for decommissioning of outdated reactors, governments inside and outside the EU, often pushed by the nuclear industry’s lobbyists, choose to extend the lifetime of nuclear reactors beyond the expiration date of their licences. Of Belgium's seven nuclear units, three (Doel 1 and 2 and Tihange 1) have been granted 10-year life extensions. This move has sparked harsh reactions from neighbouring Germany over the lack of transboundary consultations, taking the Belgium government to court. Close by, both the Netherlands and the Czech Republic are being investigated by the Implementation Committee of the Espoo convention for the lifetime extension of Borselle and Dukovany nuclear reactors without consulting neighbouring states. On Europe’s eastern flank, Ukraine has already prolonged the operations of six reactors beyond their original lifetimes without conducting any transboundary consultations. But this is not just about these four countries. No less than 30 nuclear reactors across Europe will reach their retirement age over the next three years. The inconsistent application of the Espoo Convention procedures for decisions on extending their lifetimes is thus a serious concern. In fact, the Convention's implementation committee already ruled in 2013 that Ukraine extending the lifetime of two reactors (Rivne 1 and 2) was in breach of the international treaty due to the lack of environmental impact assessments and transboundary consultations. When other governments saw Ukraine subsequently ignoring the ruling, continuing with lifetime extensions for four more nuclear units, they took it as justification for avoiding public scrutiny in decisions on lifetime extensions for their own reactors. This has led to a situation where since the Rivne decision in 2014, five new cases of incompliance have piled on the table of the Espoo implementation Committee, all following complaints from civil society and potentially affected countries. The irregular application of the Espoo Convention is one of the subjects on the table for next month’s meeting of parties (MOP) to the convention. The situation in Ukraine has garnered particular interest in light of the large number of reactors with licences extended and the very limited progress made on ensuring public participation in lifetime extension decisions since the Rivne decision at the previous meeting. Ukraine’s notification on transboundary consultations received in late April by the governments of Romania, Hungary, Slovakia, Austria, Poland and Belarus, although an important first step, shows just that — the poor quality of environmental documentation and lack of guidance on how to apply the convention to nuclear lifetime extensions. The notification, supported by a handful of documents limited to non-technical summaries of environmental impact assessments (EIAs), is unclear about the purpose and the activity that is subject to transboundary consultations. As such it looks like little more than a lip service, in turn making neighbouring governments and citizens into rubber stamps for Kiev’s reckless nuclear energy enterprise. 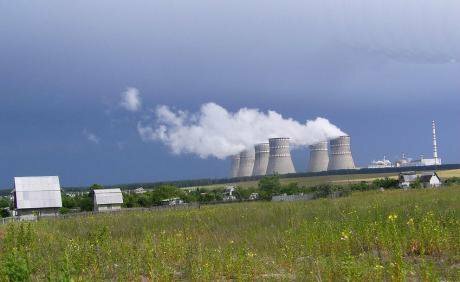 Rather than allowing citizens and governments in neighbouring countries to have a say on the final decisions on nuclear units’ lifetime extensions, the Ukrainian notification only invites comments on some vague aspects of electricity production in Ukraine. This effectively renders the whole process meaningless. What’s more, of the nine reactors in question, four have already had their operation licenses extended, thus casting serious doubts over the point of these consultations. The periodic Safety Reviews of the relevant nuclear units, the reports on safety upgrade measures, full EIAs for each reactor, are only some of the documents that have to be provided to the public for consultation and which are missing from the documents submitted for consultations by Ukraine. Transparency is a key condition to ensuring meaningful public participation as well as the timeliness of consultations, which ought to take place before the decisions on lifetime extension are made. For civil society groups monitoring the situation as well as neighbouring governments that are currently commenting on the notification, the Ukrainian government still has to bring more clarity on the connection between the outcome of consultations and the decision-making processes on lifetime extensions which have already been granted in Ukraine. More clarity and additions need to be brought as well to the documentation which should be in line with the requirements of the EU directive on environmental impact assessment. Public participation in the decision-making on lifetime extension must not be a box-ticking exercise, but a genuine opportunity to consider alternative strategies, environmental sustainability as well as financial means for decommissioning of the plants, sooner or later. The parties to the convention, including the representatives from the European Union, will not have the option of undermining the calls for more clarity, as was done at the previous MOP due to political pressure, and will have to endorse clear recommendations for how the convention should be applied to lifetime extensions. These recommendations should be clear on the obligation to apply the convention to lifetime extension decisions, on the environmental documentation that has to accompany the notifications which needs to be in line with EU EIA directive and on the timeline and forms of consultations with the public, national and European. This is absolutely crucial for setting the grounds for current and future decision-making processes and for governments to not get away with sloppy consultation processes.